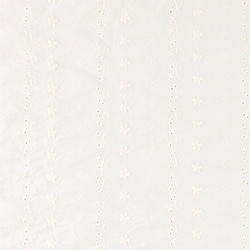 Broderie anglaise is a solid, soft fabric with elegant embroidered details. 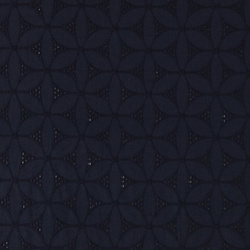 This fabric can be used both in the home for curtains and tablecloths, for example, and for clothing such as dresses and tops. Broderie anglaise means English embroidery in French and is a strong fabric with beautiful details, which makes it very popular to use in many different creative projects. 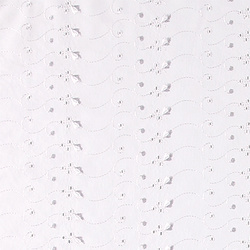 Broderie anglaise is usually a white fabric with perfectly embroidered details. It will look very good on clothing such as dresses and blouses and on interior such as tablecloths, curtains, pillows and blankets. 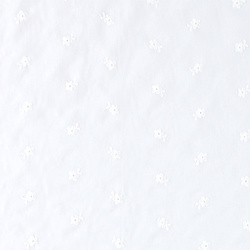 This fabric is exceptionally cute to use on clothing for children and babies and it is an obvious choice when you want to make a robe for your baby’s christening or baptism. It comes in neutral colours so you can spice up the outfit with accessories of your choice without the robe looking “too much”. Choose the broderie anglaise fabric, you like the best – maybe it is the one with the flowers or the one with the shiny leaves? Take a look at our large selection of broderie anglaise fabrics and get inspired to include this wonderful fabric in your next project. 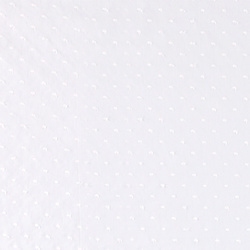 The fabric is made from polyester or cotton and is a very firm fabric, which is easy to work with. Mix it up with other types of fabric for a unique look. 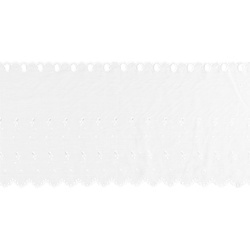 You can for example use the broderie anglaise fabric as a collar or a neckband on a classic cotton dress or blouse. You can always use our mood boards to save your favourite fabrics so you can find them again later. 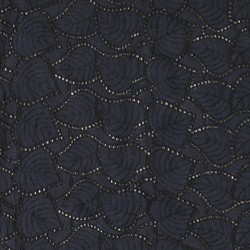 We deliver the fabrics in 5-7 days so you can get started sewing very soon. Find inspiration for what to sew in our catalogue or in our selection of patterns. We are always ready to help you with advice for your next sewing or hobby project. Feel free to contact us at any time with any questions you may have. STOFF & STIL – your new creative universe.